Comments: This is a tropical plant that is normally grown in pots, but can be grown outdoors in frost-free areas of the country. 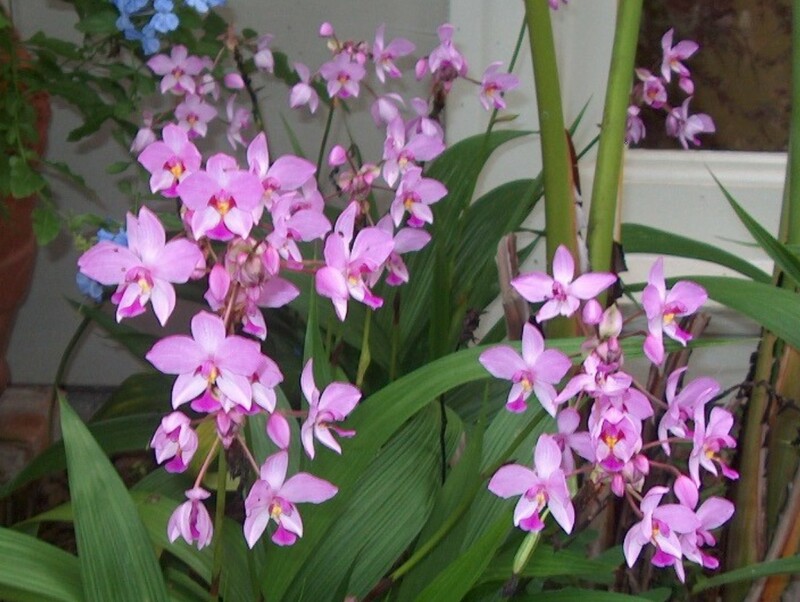 Ground orchids grow best in a fertile, well drained soil in filtered light. The blooms are produced on tall stems and last for a considerable period. Groom plants periodically by removing old spent flowers and brown foliage. Fertilize plants with a water soluble formulation during the active growing season.